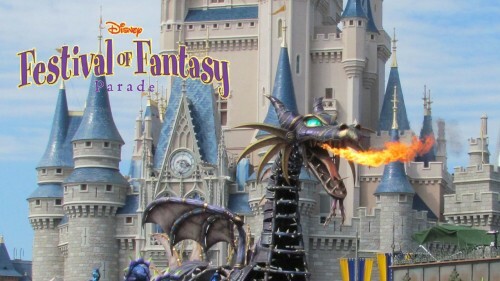 From the moment the first notes played out over the parade route, audiences were in love with the new Disney Festival of Fantasy Parade at the Magic Kingdom. At the very end of the route crowds broke out into spontaneous and sustained applause for both the creators and performers of this fantastic parade. I think they have a real hit on their hands. Yes. The parade does involve a few ‘recycled’ elements. But that is a long honored tradition among Disney theme parks, something that dates back to the ‘never throw it away’ mentality of Hollywood studios where much of the original creative team for Disneyland were poached. 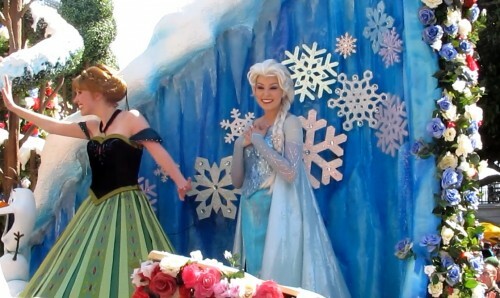 Also, like most of Disney’s recent parades, you could ask for maybe another unit or two of floats. But at nine units and 100 dancers and performers, the parade feels as large as the Magic Kingdom. It really takes multiple viewings to take in everything. So it’s a shame that it only performs once per day. I hope you will be able to make it to the Magic Kingdom to see it in person yourself. But if that’s not on the agenda, here’s my full video of the parade from its second day. I also had the opportunity to interview a few of the creative team responsible for Disney Festival of Fantasy. Among the things I learned, two of the floats have special tributes to previous Magic Kingdom parades, each of the floats has a hidden mickey on it, even some of the costumes feature hidden mickeys. Two of the floats were imported from Japan. Tokyo Disneyland’s Jubilation parade donated the Princess Garden unit and the Finale unit. Below the break, I have more photos, a description of each parade unit, and that interview with the creative team.